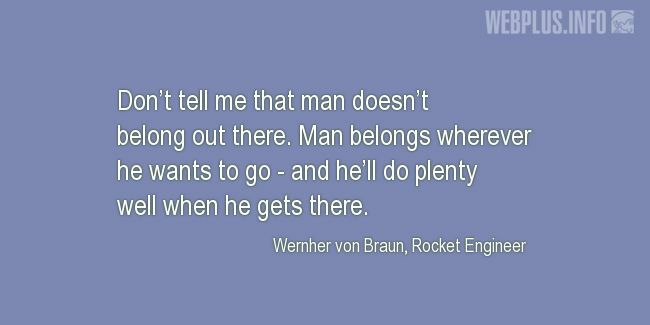 «Man belongs wherever he wants to go» illustrated quotation. Space travel, free quote pictures for Facebook, Twitter, LinkedIn, Reddit, Pinterest and other social networks. Don’t tell me that man doesn’t belong out there. Man belongs wherever he wants to go - and he’ll do plenty well when he gets there.